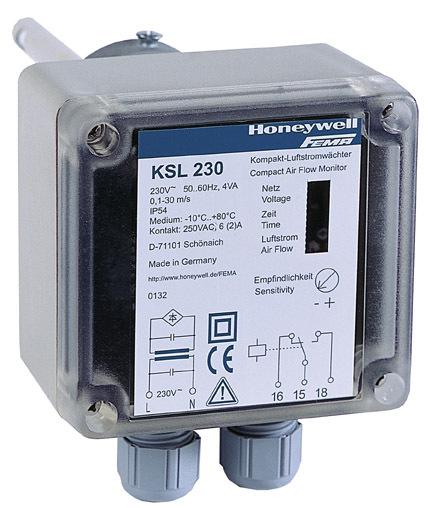 These compact flow monitors reliably measure air flow in air ducts and detect any falling below a predefined switching point. The sensitivity and hence the switching point can be set very precisely with a potentiometer. The switching state is shown by a yellow LED. The sensor tip must be completely immersed in the medium. Signal evaluation and the switching process take place within the unit itself so that no additional space is required inside the switch cabinet.